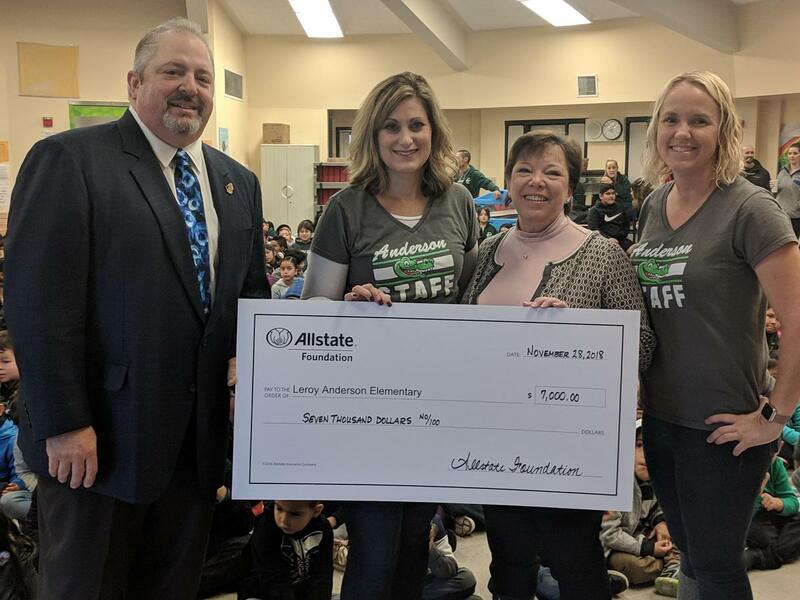 Anderson Elementary School was the recipient of a $7,000 grant and school supplies, as part of the Allstate Foundation’s Helping Hands grants. 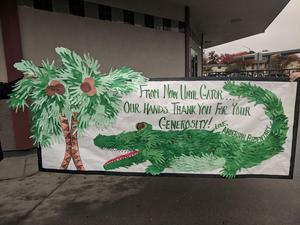 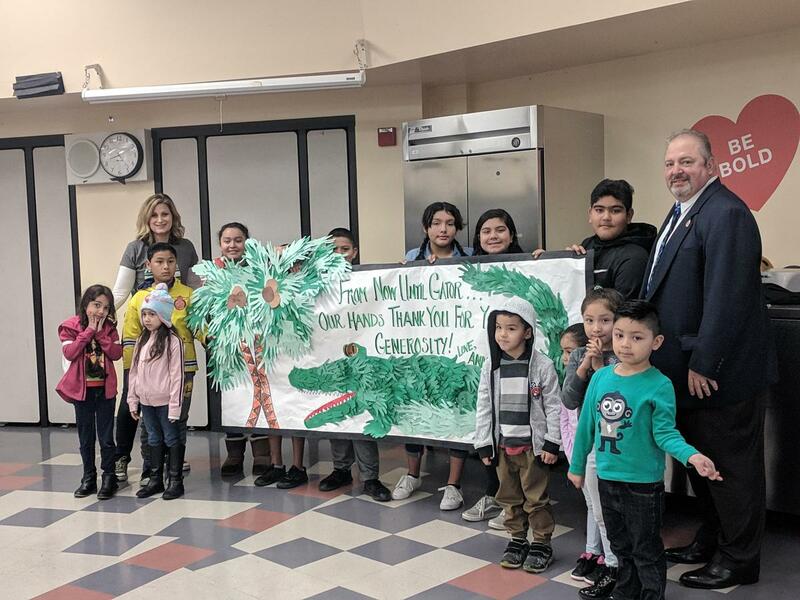 San Jose, November 28, 2018: The Moreland School District announced that Anderson Elementary School was the recipient of a $7,000 grant and school supplies, as part of the Allstate Foundation’s Helping Hands grants. 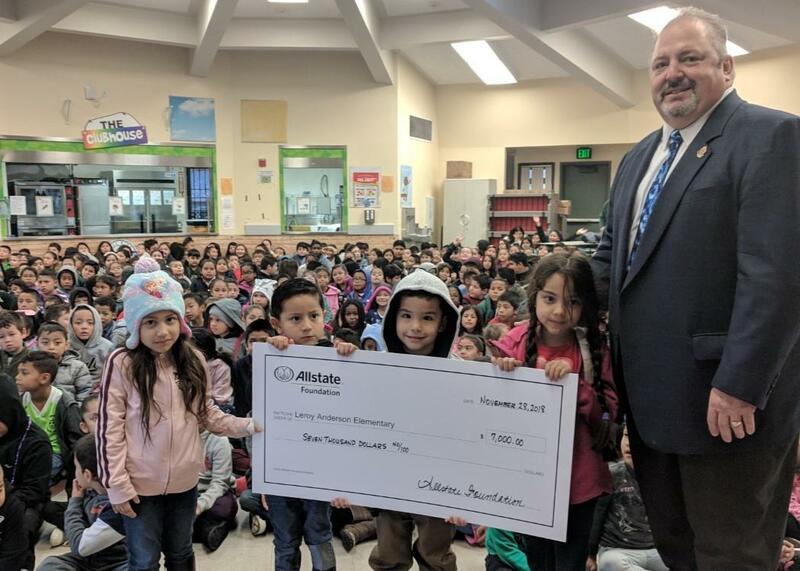 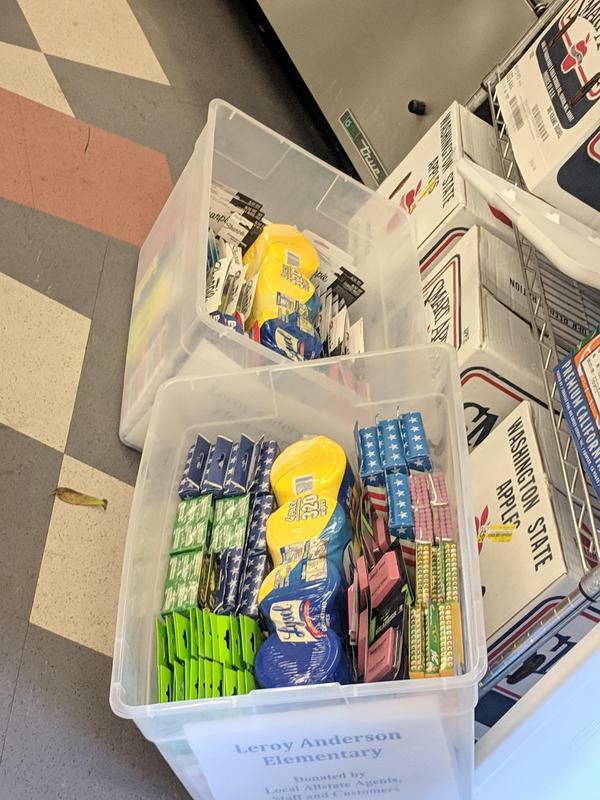 Organized by former Moreland School District Board of Trustee, Robert Varich, Allstate pledged $1,000 for each Allstate agent who collected school supplies. 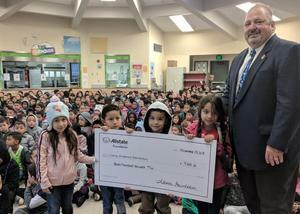 Robert Varich presented the money and school supplies at Anderson’s “Star Student Assembly” event on Wednesday, November 28, 2018 to the cheers of hundreds of students, staff and parents who attend this weekly event. Moreland would like to thank Allstate Agents James Grant, Daniel Lorber, Harold Lorber, Harry Thiem Tieu, Victor Tieu, and Robert Varich for their participation and support.